Spring sprang on March 20, so the next two months will bring an abundance of flowers, even in chilly northwestern Pennsylvania. And with Easter and Mother’s Day approaching, that means many of us will be buying pretty petals as gifts or decorations. Last year, according to the Society of American Florists, consumers spent $1.3 billion on flowers for Easter alone. That’s an amazing figure in itself, considering Easter is not even close to being the No. 1 holiday for florists and floral purchases. That would be Valentine’s Day, of course. Jennifer Sparks, vice president of marketing for the national floral organization, shares 2018 research that puts Mother’s Day among the top three flower occasions, after Valentine’s Day and Christmas/Chanukah. “Flowers are one of God’s beautiful creations, and now we know, through research, that their benefits go beyond just beauty. They are actually beneficial to our overall health and well-being,” Sparks tells Faith magazine. She points to research that shows flowers provide a sense of peace and calm. Recent findings from the University of North Florida indicate that 68 percent of people feel stress on a weekly basis, and 32 percent are stressed every day. 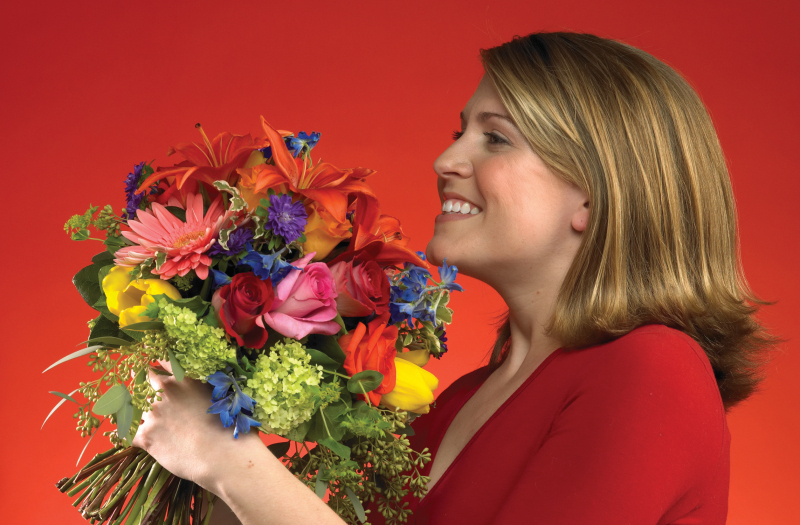 No surprise, then, that a full 80 percent of people say receiving flowers makes them happy. Additionally, 88 percent say giving flowers makes them happy. So this Easter (April 21), and Mother’s Day (May 12), be prepared to share the gift of God’s nature with families and friends. Pink is the traditional favorite color for Mother’s Day flowers. In 1914, President Woodrow Wilson proclaimed the second Sunday in May as National Mother’s Day.